Top 5 Baby Products We Can’t Live Without! With new baby products bombarding the market on what seems like a daily basis, it’s definitely tempting to get swept away in the hype. It’s super easy to invest in a bunch of products that you don’t actually need. Shopping for the sake of shopping is always fun, but baby gear starts to pile up fast and furiously. It can threaten to take over every inch of your living space if you give in to every adorable, or seemingly necessary, baby item on the store shelf. It’s hard to narrow down the essentials, but the good news is, we’ve done it for you! 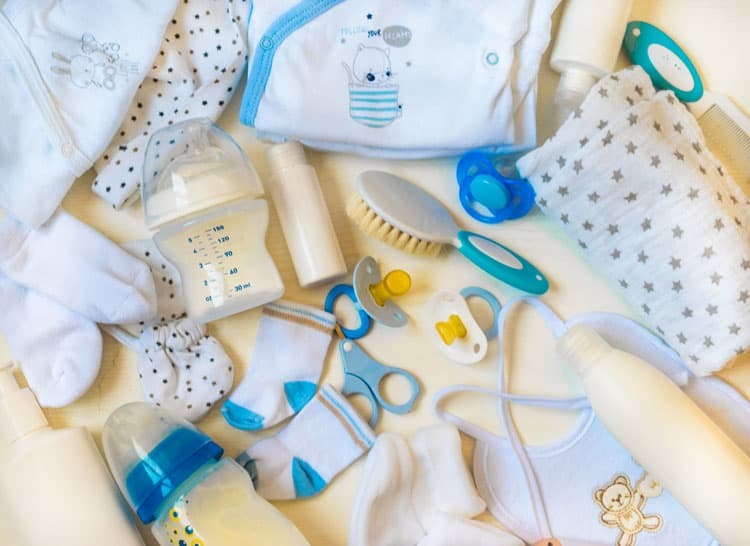 Start with these 5 essential baby products that we can’t live without, and we guarantee you will be off to a great start! The infant car seat is a non-negotiable item and an absolutely mandatory baby product, hence it being at the top of our “must have” list. Due to safety laws you won’t even be able to take your precious newborn home from the hospital unless you have an infant car seat properly installed in your vehicle. There are so many choices when it comes to selecting an infant car seat that it often becomes dizzyingly overwhelming. Brands that have stood the test of time include popular ones such as Britax, Chicco and Graco amongst many others. All infant car seat brands have varying features, and varying price points based upon the extent of these features. Remember, you don’t need to break the bank when buying one. They all have to pass the same safety tests, so you can rest assured that your bundle of joy will be safe and sound in their car seat, regardless of price point. You can visit BabyQuip’s car seat product page to read all about the different car seat types and US car seat safety laws. 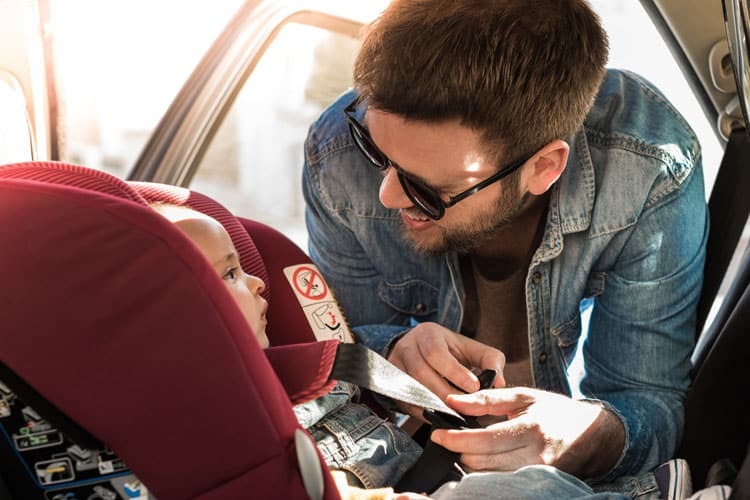 Another thing to consider before investing in an infant car seat, is whether you want a car seat that will snap into a certain travel system or stroller. If the infant car seat is the same brand as the stroller, they will most likely be compatible. However, if you are looking to mix brands, you might have to purchase an adapter so the pieces are compatible. Speaking of strollers, this is also an essential baby product that we can’t live without! Strollers these days, come with so many bells and whistles, that purchasing one almost feels like shopping for a luxury vehicle. High end brands such as Uppababy and Bugaboo are considered the Rolls Royces of strollers. They have a pretty hefty price tag to match. Truthfully, you don’t need to spend a small fortune to get a great stroller. That said, there are definitely some key factors to consider before making a purchase. Does the stroller navigate smoothly? Is it easy to break down and fold/unfold? Will it fit in the trunk of my car? Does it have enough basket space to store baby essentials? If you really want to get a more realistic feel for a specific stroller, consider a short term rental from a company like BabyQuip. You will have the opportunity to “try before you buy”. This gives you the advantage of being able to test out stroller types in the real world, and not just within the small confines of the baby store, before making your final decision! Nasal Aspirator – This item is used to clear all of the gunky congestion and mucus from your baby’s nose. Not exactly a pleasant visual, but then again, many aspects of parenthood aren’t exactly glamorous! Babies are too young to blow their own noses, so it’s up to parents to suction it out for them. Thermometer – There are so many different types of thermometers on the market. There are also many rules as to which ones to use based on a child’s age. For instance, children under 4 years of age should not use an oral thermometer. 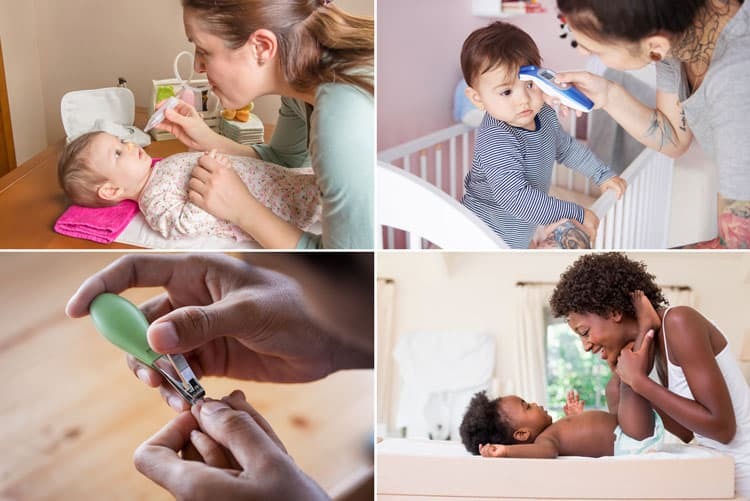 Check out this guide on The Bump that will help you make an informed decision about which thermometer is right for your little one. Nail Clippers – Newborn’s nails seem to grow like weeds, and can be extremely sharp. They need to be cut frequently to ensure that your baby doesn’t accidentally scratch their adorable little face. Get in the habit of regularly clipping your baby’s nails at a young age. They will naturally become accustomed to the ritual of it (fingers crossed! ), and won’t fight it as much, as they grow into temperamental toddlers. Diaper Rash Cream – From old school classics such as Destin to new school natural ones from innovators such as the Honest Company, and all the other brands in between, diaper rash creams have been around since the beginning of time. It’s the unfortunate truth that you will most likely encounter a diaper rash at some point in your baby’s first year. Definitely have this requisite item on hand! 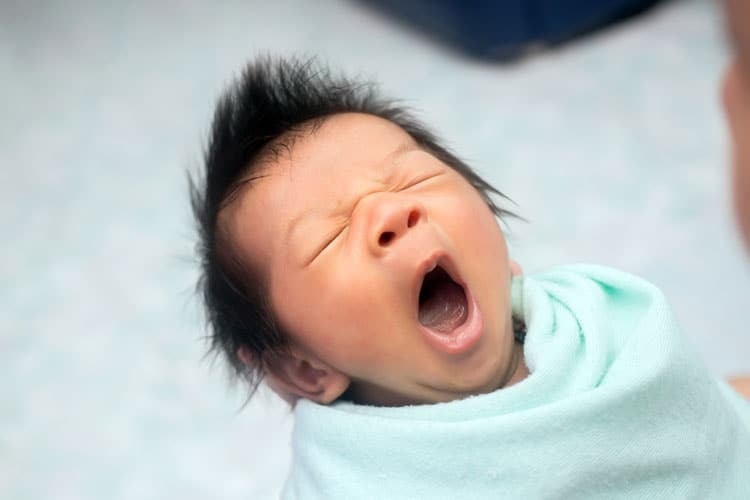 In the first days of parenthood, the most elusive, yet arguably the most important commodity is sleep. Sleep deprivation is real! It can leave even the most energetic pre-baby parents feeling like zombies once the reality of night feedings kick in. Do yourself a favor and invest in a white noise machine. Prices vary depending on the model but this baby product is definitely worth its weight in gold. It will lull your little one into a sound sleep, which in turn helps mom and dad get some much needed shut eye! With millennials and new parents accustomed to having everything at their fingertips, why should baby monitors be any different? Equip your baby’s nursery or playroom with a baby monitor. Consider one featuring smart technology so you can watch your precious angel straight from your phone. Even if you are away from home, you can check in on baby whilst they are in the care of a babysitter, nanny or family member. Talk about a baby product with piece of mind! We can’t live without the 5 essential items listed above! What are your favorite must have items for baby? 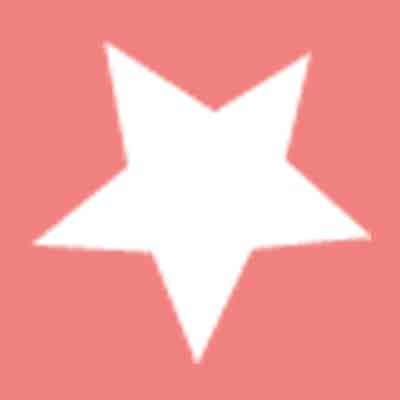 Thank you for the information on top 5 baby products. That’s definitely a good head start!